Oscar-nominated and 5-time Emmy-winning star of Murphy Brown turned New York Times bestselling memoirist (twice! ), Candice Bergen is in the house! And she is every bit as irreverent and funny and whip-smart as you’d hope. Joining us in today's guest co-host chair is someone we both adore, the legendary book editor Betsy Rapoport, who edited Candy’s second memoir, A Fine Romance, and who I’ve been lucky enough to call my mentor for the past eighteen years. Despite being the highest paid actor on television for a long time, Candice is exceptionally humble. But Betsy and I manage to get her to share gold about her creative process. From her erratic work ethic; what it was like being the first female to wear the 5-timer jacket hosting for Saturday Night Live; and how she’s embraced Instagram, nearly “breaking the Internet” posing for an eclipse photo with her Book Club cast-mates Jane Fonda, Diane Keaton, and Mary Steenburgen. Unlike many of our guests who became household names before the advent of social media, Candice relishes posting pics and scripting funny captions for her feed. I don’t know if it’s easier or harder not to take yourself so seriously when you were born into Hollywood royalty. Some speculate that Candice’s humility is a byproduct of being the daughter of Edgar Bergen, a famous Vaudeville ventriloquist whose dummy, Charlie McCarthy, was beloved by millions and had a bigger room than Candice did in their home. Her first memoir, Knock Wood, is a candid portrayal of a little girl trying to earn a father’s love. Candice has always been a writer—starting with magazine work for Esquire following her first movie at nineteen. We cover so much in this chat, including what makes a good book title (poetic, evocative, counter-intuitive), and why sometimes the publisher decides to forgo all that to bank on clarity. We talk about how bloody hard it can be making the audio version of your book—but how it’s a good excuse to order comfort food. 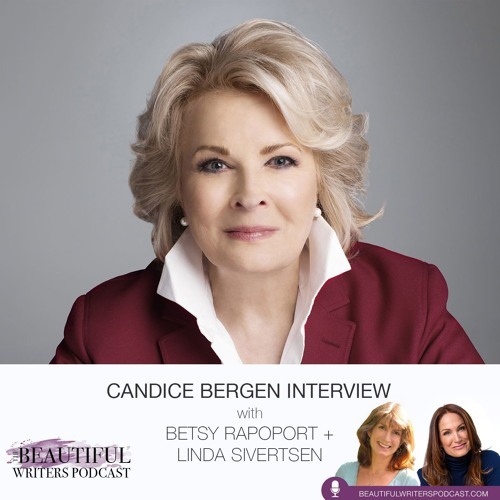 Candice shares the anxiety she feels when writing memoir, and the role of an editor (in this case, Betsy) to help her go deeper. Although Candy’s latest book is a love letter to her daughter, Chloe Malle (a writer for Vogue), her first husband—the late director, Louis Malle, and her current husband, Marshall, I hope you’ll find this conversation a bit of a love letter to the collaborative process. That and showfolk, dogs in costume, and smoking sage bowls. Welcome. I love her! Thank u.